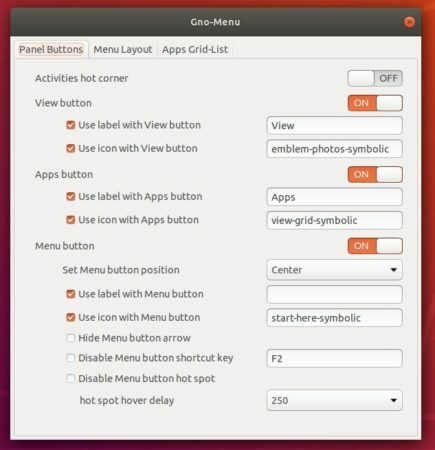 This quick tutorial is going to show you how to install the classic style Gnome application menu in Ubuntu 18.04, and higher. 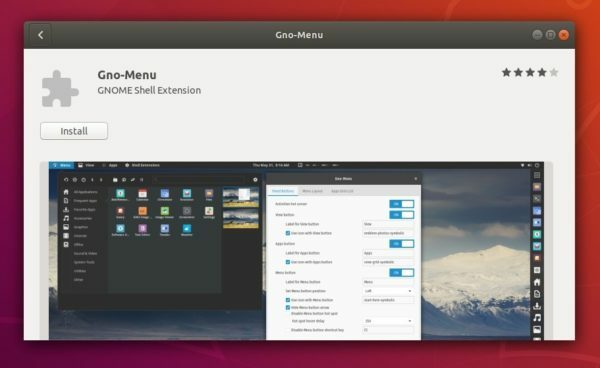 There’s a Gnome Shell extension called Gno-Menu. 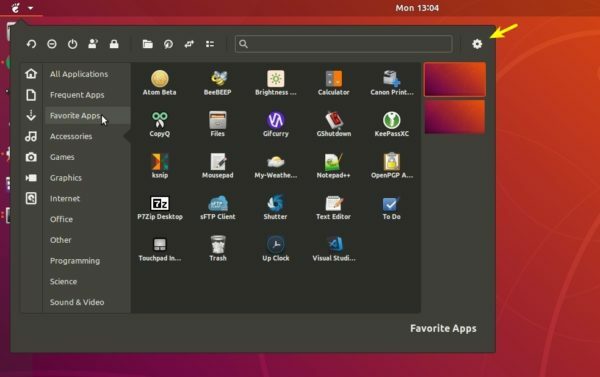 It is a traditional styled full featured Gnome-Shell apps-menu, that aims to offer all the essentials in a simple uncluttered intuitive interface. Simply open Ubuntu Software, search for and install Gno-Menu. Then you’ll see the new application menu in top-left corner. Click to expand the app menu, and click the gear button (see the top pic.) can bring up the settings dialog.